Hey, lovely! Never lose your phone charge again! Enter below to win a portable charger in color of choice! Win a Xcentz Portable Charger! ($320 TRV Giveaway!) EXCLUSIVE DISCOUNT CODE: We’re giving away 10 of these batteries, but if you’d rather buy one outright, we have an exclusive coupon code! When you buy the Xcentz portable battery on Amazon, enter code XCENTZS14 at checkout to drop the price to $19.99! Expires April 15th. Power for All: With USB-C power delivery port (18W) and quick charge 3.0, high-speed charging for both USB devices and USB-C devices. Power iPhone X to 50% battery in 35 minutes with USB-C to lightning. (USB-C to lightning charging cable not included) Recharge 2x faster: With USB-C power delivery input, time for a full recharge is reduced to 3.5 hours, save up to 3 hours than standard micro charger. USB-A to USB-C charging cable is included but USB-C wall charger is not included. Huge Charging Power: 10000mAh of power charge iPhone 8 up to 3.5 times, iPhone X up to 2.5 times, Galaxy S9 up to 2.3 times, Galaxy S8 up to 2.3 times, iPad Air2 up to 1 time. Safety First: LG 21700 battery for over 500 charge / recharge cycles and still holds over 90% juice. Xcentz’s exclusive smart technology to protect your devices against overcharge, short circuit, and overheat. Last 3x longer for use. Astonishing Size: Xcentz wingman Dual 10000 is small as 1/2 iPhone 7 and lightweight as a baseball. Incredibly smallest portable charger slides easily next to your phone in any pocket or purse. Best choice for traveler and those who don’t like bulky battery charger. Hey, lovely! 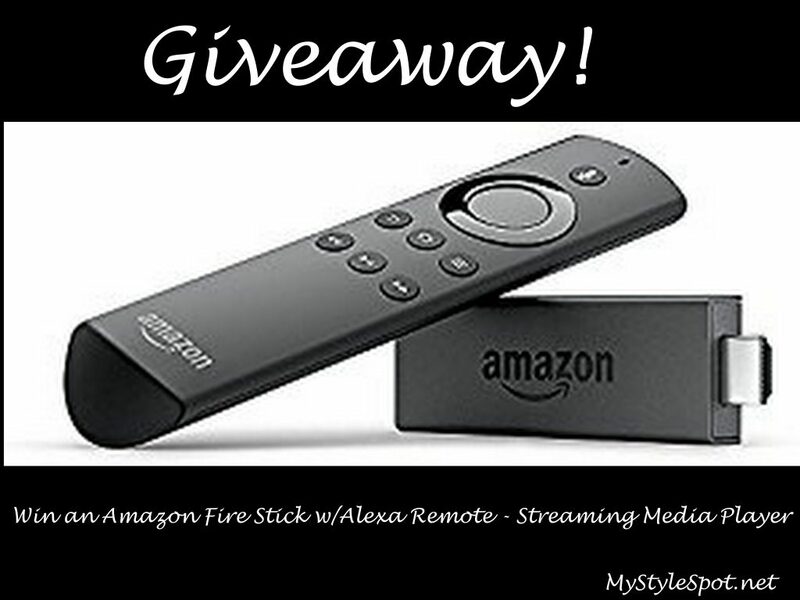 I’m giving one of you the chance to Win an Amazon Fire Stick w/Alexa Voice Remote Streaming Media Player! Hey, lovely! I hope you’ve got some fun plans for summer! Don’t forget one of these babies- so you can record every moment of summer fun this season! ENTER TO WIN this wifi Action Camera below! – An Amazon Best Seller!